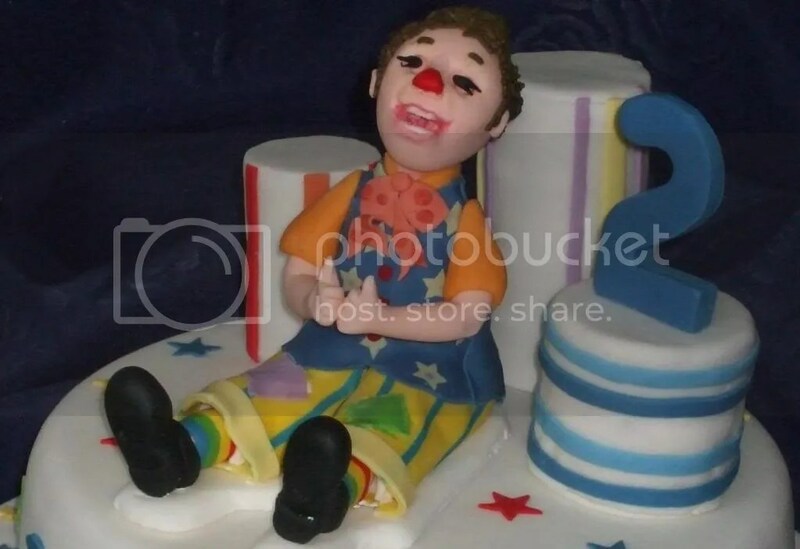 Well, here he is..Mr Tumble sitting on his cake. 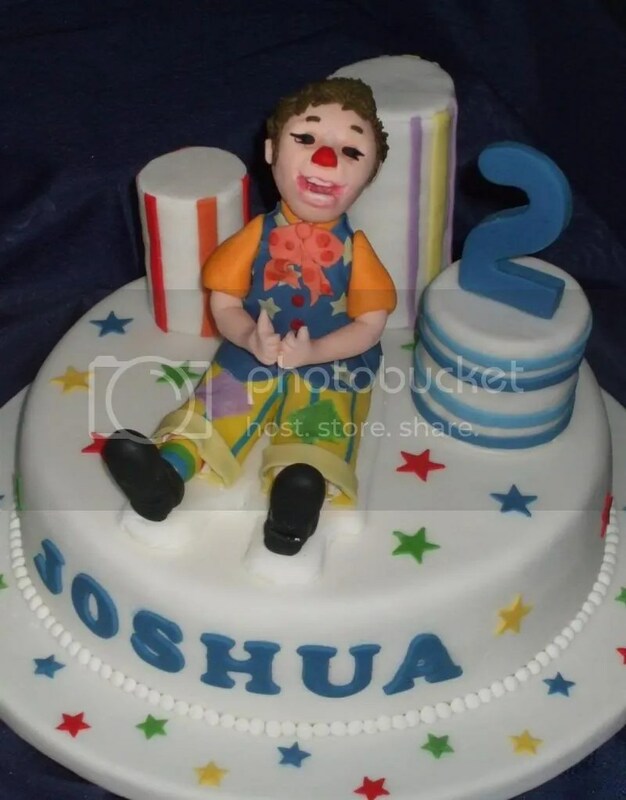 I know…I know…he doesn’t actually look like Mr Tumble but I don’t think 2 year old Joshua will be too put out about it – and I am just grateful that he no longer looks horrific enough to terrify small children! Today I have iced and decorated the cake that Mr Tumble will be sitting on. It is a madeira sponge cake with raspberry jam and buttercream filling. I have made the decoration quite simple scattering brightly coloured stars over the plain white sugarpaste icing. 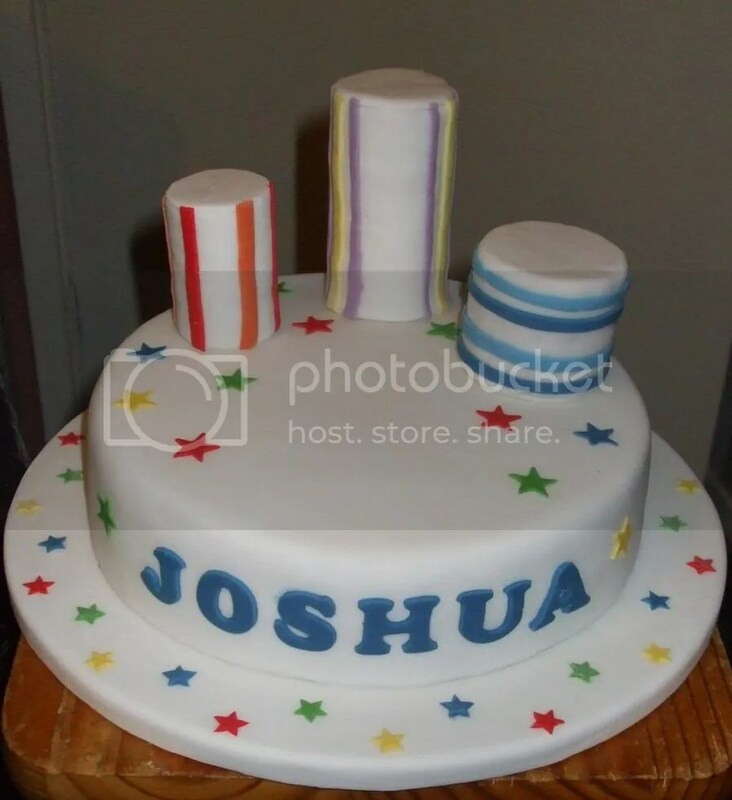 The three columns are also made of madeira cake, raspberry jam and buttercream with a sugarpaste coating and, in effect, they are individual servings of cake….for someone with a hearty appetite and a sweet tooth! They represent the columns that Mr Tumble interacts with on his television show. Tomorrow I will finish off the star of the show himself…Mr Tumble! …and he will be seated in the centre of the cake. Check back tomorrow if you want to see the finished cake! I visited Mr Tumble again today…and I hope you’ll agree he is looking a lot better than he did a few days ago!! OK, so he’s missing a few body parts and his clothing but at least he doesn’t have a face that will scare the pants off you…and he is sporting some rather snazzy rainbow socks!! He does look a bit sweaty too – but that will calm down a bit as he dries off. 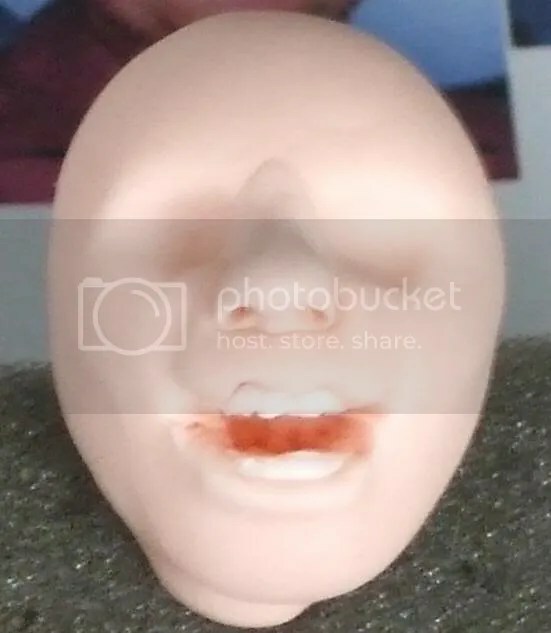 I have tried a new technique for making his body as he is rather large – 15cm (6 inches) from base to hair – and would weigh quite a bit if made solely from sugarpaste. So I have tried filling him out with a much lighter-weight, but still edible, material…marshmallows! These can be cut to shape so that they nestle closely together and then can be bound into position by strips of rolled out sugarpaste. When this all firms up it provides quite a good foundation for ‘dressing’ in appropriate clothing. That could possibly be tomorrow’s ‘thing’ if nothing else presents itself before then! The cake is due for delivery on Sunday so I still have plenty of time and I promise you will get to see it all when it is finished! 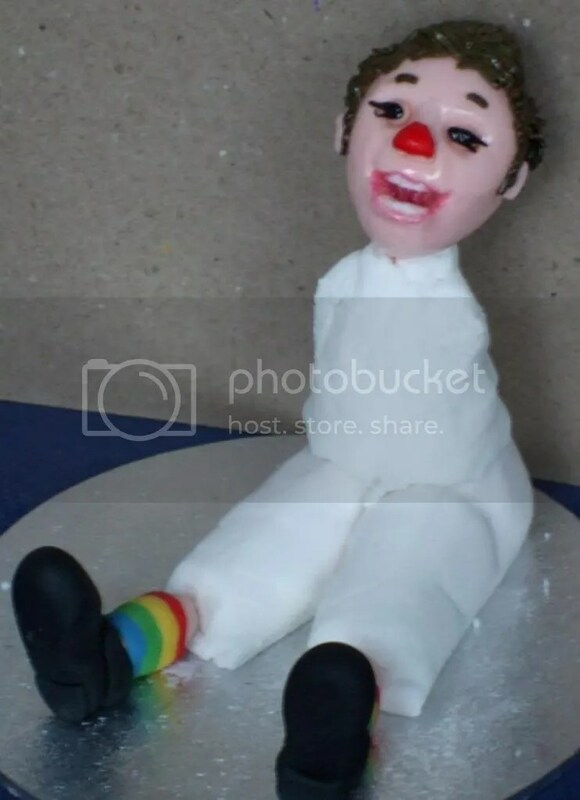 I have been asked to make a 2nd birthday cake for later on this month, featuring Mr Tumble from the children’s programmes on the BBC. The trouble with Mr Tumble is that he always has a huge toothy grin, which as anyone who has ever tried to paint or sculpt a face with a toothy grin knows is not a task to be taken lightly!!!! 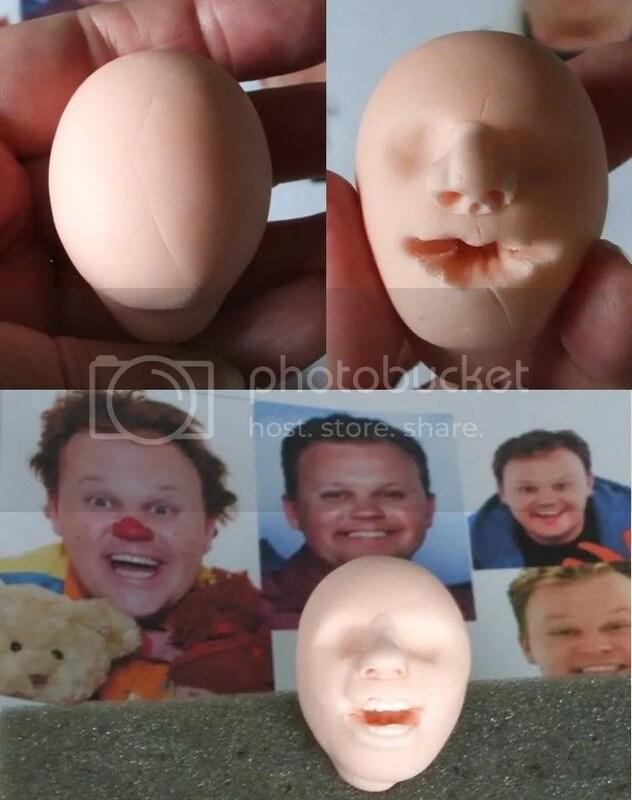 So I thought I had better start early and have a go at creating the head of the model of Mr Tumble, who will grace the top of my cake. Oh! Horror!!! Doesn’t this look more like The Joker than Mr Tumble??!!! Hopefully, by the time I have added hair and eyes and a little red nose, dressed him and sat him on a cake covered with stars and bright circles he will not actually cause the poor little kiddies at the birthday party to run screaming from the room!!! That’s the trouble with art – or so I have found – no matter what medium and discipline – there is always a point at which you feel like screaming and hurtling the ‘artwork’ out of the nearest window, but with a little persistence, more often than not, the whole thing comes together to make a half decent piece of work. Let’s hope that is the case this time! Well, I need to leave this to dry and harden a little for a couple of days and then I will try to create miracles!!! For more on hideously funny clowns at birthday parties please watch this link!! !